A sustainable city should be a city where everyone is happy, healthy, wealthy and wise. Only a city that is free from pollution, noise and stress and which is designed as a holistic structure in harmony with natural law, where individual life is flowing with the evolutionary stream of energy and intelligence is really sustainable. Sustainable both for the environment, and also with reference to individual life. This means such a city is essentially free from problems, crime, and suffering. 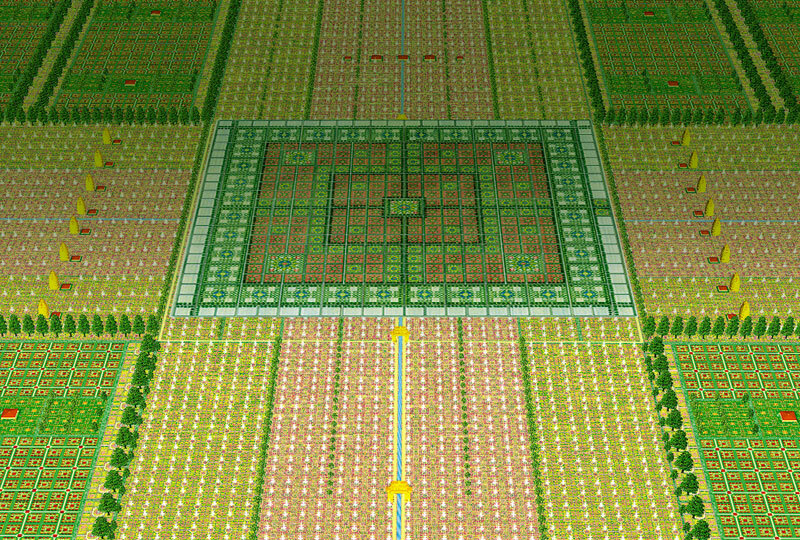 The Institute of Vedic City Planning’s unique specialty is the foundation of sustainability – planning and building in harmony with natural law. The very noticeable beneficial results of this approach have been experienced by many people on all continents. The Institute’s advisory board is also a great resource in experienced professionals who have implemented Maharishi Vedic architectural and planning principles together with various degrees of sustainable technologies, creating green, “Fortune-Creating” homes and offices, beautiful, sustainable developments, and Garden Cities. Current technology allows various degrees of self-sufficient buildings up to being ‘zero bill’, i.e. 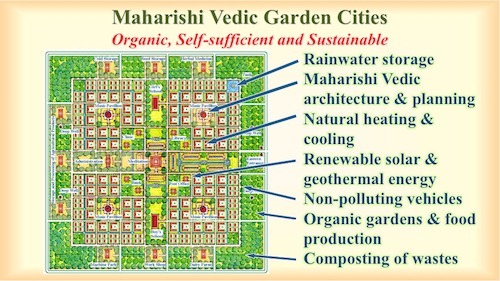 self sufficient for all utilities with zero utility bills after construction, as well as precise implementation of all principles of Maharishi Vedic architecture. Such buildings are the units of a truly sustainable city. Sustainable cities, composed of buildings designed from the ground up to be completely self-sufficient and in harmony with natural law, are sustainable in terms of their basic requirements—water, energy, food, and waste treatment—and also contribute to the health and wellbeing of residents. All water that falls on the property is saved and used – it is free and of a high standard of purity. All rainfall runoff from every building is collected and stored in built-in tanks and cisterns, e.g. within the walls of the building. These tanks are preferably located above ground level so that release will be powered by gravity. In most areas the rainfall from the roof is enough for the water needs of inhabitants. Water-saving devices such as showerheads, washing machines, toilets, etc. are standard. Natural, biological approaches can reduce garden water requirements by 5-10 times, for example by regenerating compacted urban soils, and the use of mulches. All water from roads and parking places is collected in ponds and cisterns for use in gardens, washing machines, toilets, etc. Solar and geothermal energy is sufficient for all electricity, heating and cooling. Reduced energy consumption through optimal insulation, natural lighting in every room, and thermal mass compressed earth block interior walls. 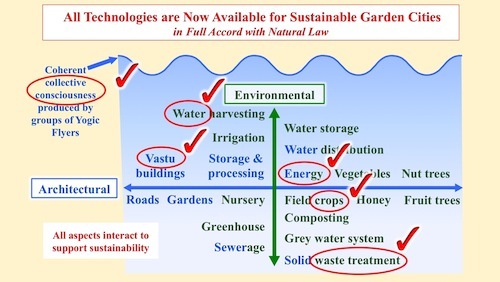 Self-sufficiency in water, energy, food, and waste treatment reduces the costs of transportation and most of the pollution associated with large-scale production at a distance. Garden cities with beautiful productive gardens can be self-sufficient in fresh, healthy, tree-ripened food: A one-acre plot can produce all food requirements for a family of 4-5 people. Enormous savings in food processing and transportation will accrue from a majority of local production (the average yoghurt carton travels 1500 km or more before arriving in your supermarket). Local food production will stimulate the local economy and stable wealth-creation. All greywater can be recycled to irrigate forest areas. Blackwater can also be safely treated on-site and used for city forest irrigation. All organic waste can be composted for local recycling. 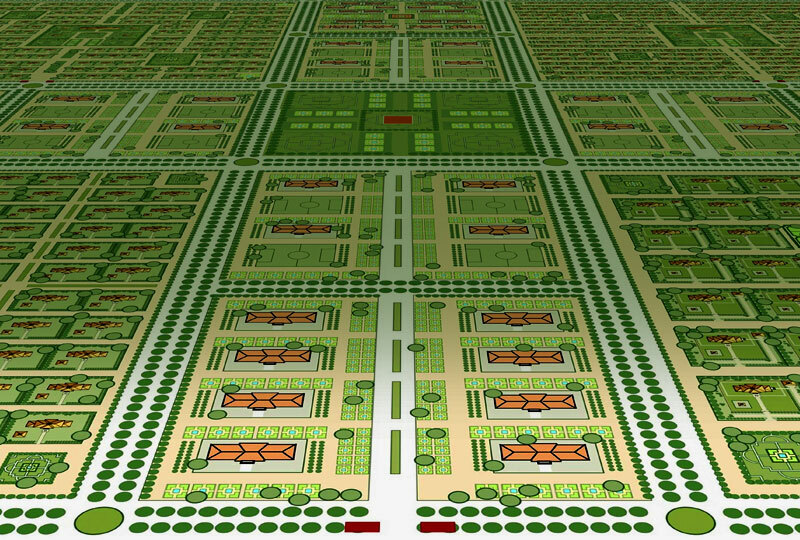 As nature knows no waste, so in a sustainable Garden City. Maharishi Vedic architecture and planning principles to align with the wholeness of Natural Law. Local, pure water supply; local, fresh, tree-ripened organic food; local non-polluting energy; and local treatment of waste to enrich soils all support health year after year. All construction materials are non-toxic, from local sources or within living building sourcing requirements, and construction waste is completely recycled. Construction carbon footprint is fully offset. The comfort of inhabitants is increased through the use of natural methods such as night flush ventilation system, solar desiccant system, automatic photosensitive control for back-up lighting, LED backup lighting system, cross-ventilation system, entryway airlock/dirt track system, mold-free systems design, and natural electro-magnetic field. Enjoy this video of Maharishi University of Management’s Sustainable Living Center under Construction, fulfilling all the above mentioned criteria in one building.